Boku is a type of payment solution which enables users to pay for goods and services including deposits at bingo sites via the number of their mobile phone. Users simply enter their mobile phone number to purchase items instead of having to fill out any personal data, banking information or card details. The deposit you make is added to the user’s mobile phone bill or deleted from the credit on their mobile phone. Another reason Boku is such a convenient method of payment is the fact that users can buy an item by simply tapping their phone just once, this makes Boku mobile payments a quick and convenient way to deposit. 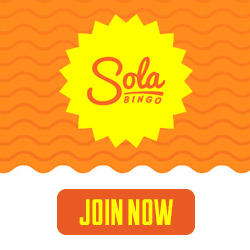 Players can use Boku to make deposits at bingo sites which accept this method of payment. They can make payments via their mobile phone, a smart television, a desktop or on a laptop, they simply need to enter their mobile phone number. Boku us now in partnerships with all the leading mobile phone network providers in Britain, as well as an additional 250 mobile network provider across the globe from a total of 68 different nations. Consequently, Boku has the potential to open the doors to a whole host of different online bingo and casino brands, which UK players were not able to get involved on due to payment and currency issues. How do you make a deposit with Boku? Using Boku to make deposits couldn’t be simpler. Players simply need to head to the payment’s page and select the option titled ‘Pay by Mobile’ from the payment’s list they will then be directed to the Boku payment page where they will need to enter the amount they would like to deposit. A text will be sent to the player’s mobile phone instructing them to confirm the payment. The funds are then credited into a player’s casino account and is either added to their mobile phone bill or deducted from their mobile phone credit.